Olive oil is the best. Not only is this oil healthy and full of essential nutrients and antioxidants, but it also offers exceptional benefits when used as a hair oil. When used the right way, the oil is light in your hair, does not weigh it down, and leaves it feeling smooth and silky. But wait, there’s more. Did you know that olive oil is also an effective remedy for dandruff? 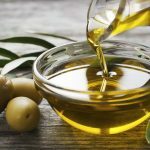 Keep reading to learn how olive oil helps treat dandruff, and how you can include this wonderful ingredient in your hair care routine. Is Olive Oil Effective Against Dandruff? Yes! Olive oil is one of the best ingredients you could use to treat dandruff. The oil is effective and efficient to the point where you start noticing the improvement from the first use. Following, I’ve put together the benefits of olive oil for hair. Olive oil is one of the best natural conditioners that you can find for your hair. Unlike regular store-bought conditioners, which only clog and irritate your scalp, olive oil will help moisturize a dry scalp and will soothe flaking. Clogged follicles can lead to scalp irritation and dandruff. Olive oil is light and helps dissolve all the dirt, excess oils, and grime that are present on your scalp. It also helps loosen the dead skin so that it doesn’t settle in your follicles. This helps unclog the follicles as well as nourish them so that hair can grow without a hitch, minimizing scalp irritation. 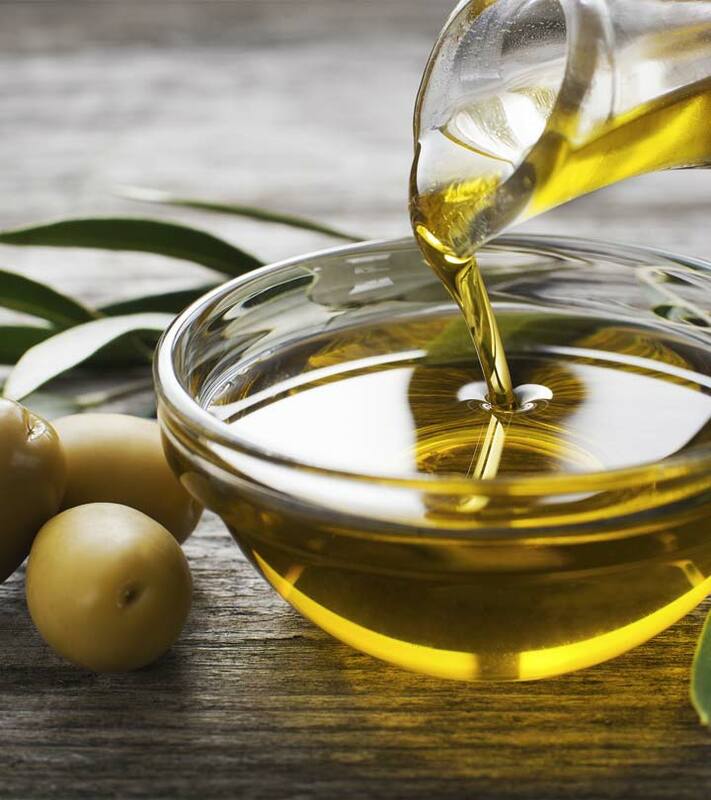 Regular use of olive oil can help boost scalp and hair health by preventing damage. This is owed to olive oil’s rich antioxidant properties which help minimize oxidative damage. Olive oil’s hair conditioning properties are unparalleled. This, coming from someone who has heavily processed hair. The oil contains mono-unsaturated fats which nourish your hair and leave it feeling silky and soft. It also helps control frizz to a large extent, giving your hair a smooth look. The best part is that the oil does not even weigh your hair down. 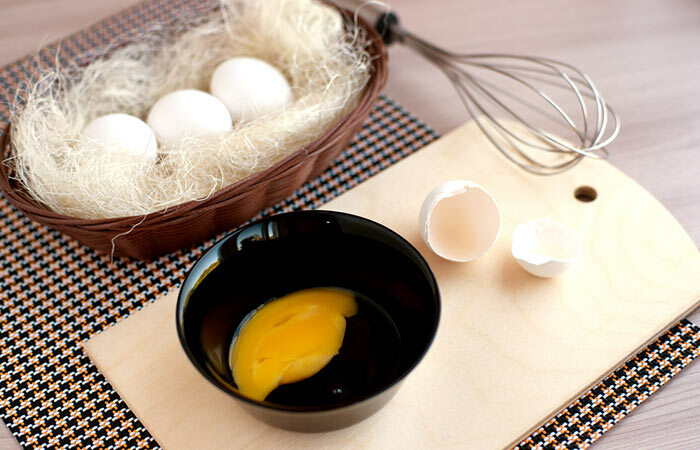 In a bowl, beat the white of one egg with two tablespoons of olive oil. Ensure that the egg is cold to contain the smell. Apply this mixture onto your scalp and then work it down to the tips of your hair. Once your scalp and hair are covered in the mixture, cover your hair with a shower cap to avoid a mess. Wait for about 20 minutes. After 20 minutes have passed, wash your hair with cool water and a mild sulfate-free shampoo. Avoid using warm or hot water as it might ‘cook’ the egg. Finish with conditioner. Ensure that you apply the conditioner from the mid-lengths of your hair without touching your scalp. Egg whites contain enzymes that help kill off bacteria and infection. This helps keep your scalp healthy while warding off dandruff. Eggs also help nourish your hair with their high protein content. In a bowl, mix the almond and olive oils until you get a smooth mixture. Start massaging this mixture into your scalp and then work it down to the tips of your hair. Once your scalp and hair are covered, massage your scalp for about 10-15 minutes. Leave the oil on for an additional 30 minutes. Optionally, you can leave it in overnight. Wash your hair with a mild sulfate-free shampoo. Finish with a conditioner. Ensure that you apply the conditioner from the mid-lengths of your hair without touching your scalp. 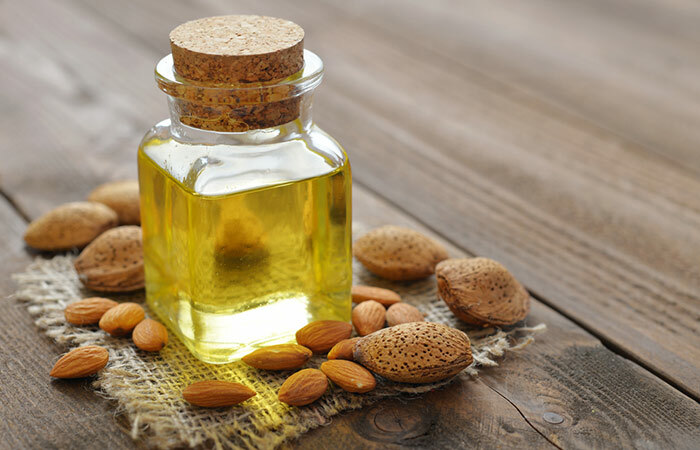 Almond oil contains anti-inflammatory properties which help soothe scalp aggravation and dandruff. This helps reduce irritation and itching. The oil, in combination with olive oil, also helps soften the flakes and dissolve excess oil and dirt, unclogging your hair follicles. In a bowl, combine the olive oil and lemon juice. Massage this mixture into your scalp and then work it down to the tips of your hair. Once your hair and scalp are both covered, continue massaging for about 10-15 minutes. Leave the lemon-oil mixture on for an additional 30-45 minutes. 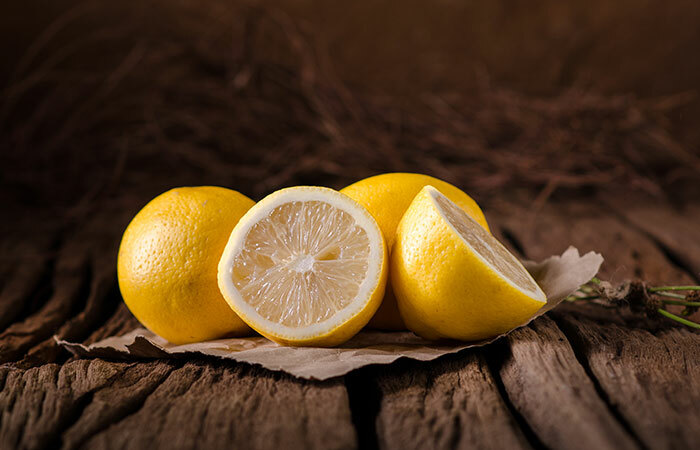 Lemon juice is rich in citric acid, vitamin C, and antioxidants which help fight dandruff and boost scalp health. It also helps balance your scalp’s pH with its acidic nature and leaves your scalp feeling fresh and free of build-up. In a bowl, add 10 drops of tea tree oil to 2 tablespoons of olive oil. Mix well. 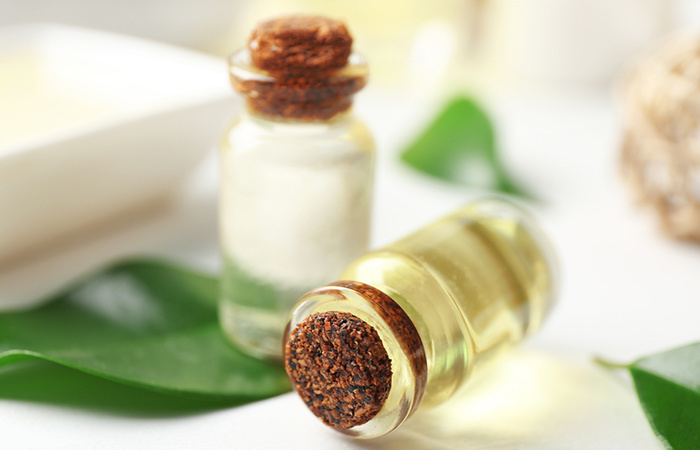 Tea tree oil is renowned dandruff treatment. The oil has antifungal, antibacterial, antiseptic, and anti-inflammatory properties, all of which work together to soothe your scalp and boost its health. This refreshing treatment helps unclog your follicles, relieving irritation. In a bowl, mix all the ingredients until they are well-combined. Start applying the mixture onto your scalp in sections. Once your scalp is completely covered in the mixture, massage for about 5 minutes. Leave the mixture on for an additional 5 minutes. 1-2 times a week until the problem subsides. 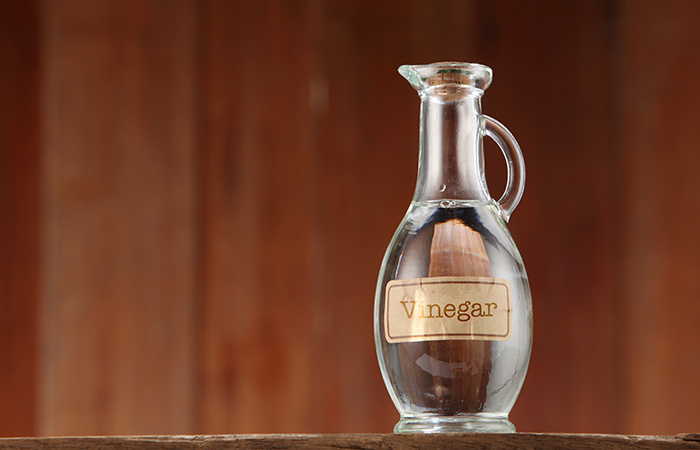 White vinegar contains acetic acid which helps fight off fungal infections while also relieving itching. It also helps remove dead skin cells while boosting blood circulation for healthier hair growth. In a bowl, mix the turmeric and olive oil until they are well combined. Start applying this mixture onto your scalp and then work it down to the tips of your hair. 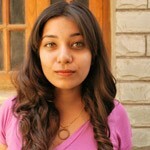 After your hair and scalp are covered in the oil-turmeric mixture, massage your scalp for about 10-15 minutes. Leave the mixture on for an additional 30 minutes. 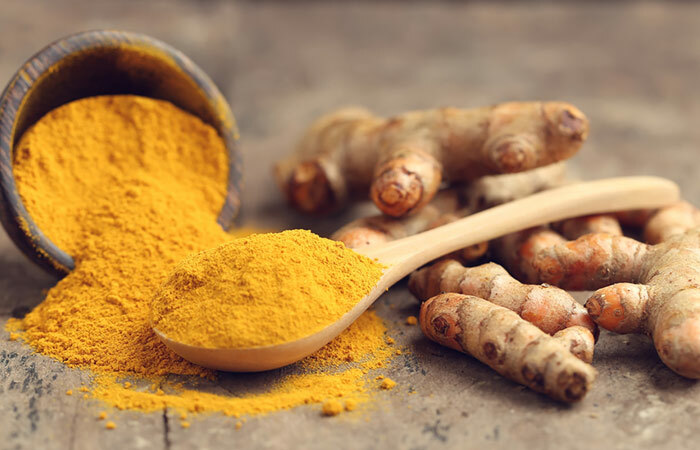 Turmeric is a powerhouse of antioxidants which help fight and prevent scalp and hair damage. It also has strong antiseptic and anti-inflammatory properties which help soothe your scalp and fight infection. This combination of turmeric and olive oil will leave your hair feeling soft and silky, and your scalp; fresh and healthy. Dealing with dandruff is, no doubt, very frustrating. However, battling it can be as simple as opening a bottle of olive oil. With these olive oil remedies, you can say goodbye to dandruff and boost your scalp health in no time at all. Have you ever used olive oil for dandruff treatment? Tell us about your experience in the comments section below. How To Get Rid Of Dandruff Using Baking Powder? Dandruff can be such a pain! That's why I've put together a list of 15 hair masks that have successfully soothed and dealt with my dandruff for years now.